Chris Stanek is a partner at Gowling WLG and one of the leading litigators in the firm's Toronto office. Known for his aggressive approach, he specializes in finding creative solutions to difficult commercial problems. He has obtained highly favourable results for numerous financial institutions and corporations in Canada, the United States and around the world. Chris has a particular expertise in disputes involving land, including construction, leasing and real property disputes. He customizes his dispute resolution strategy based on the needs of each individual client and is dedicated to furthering his clients' goals - even if those goals may not be conducive to traditional litigation. Using this approach, Chris has successfully represented contractors, lenders and developers in many complicated construction disputes, often employing creative solutions to achieve his clients' desired results. Chris has also acted for lenders and mortgage insurers on numerous fraud matters, retail banking disputes and issues involving the Bills of Exchange Act, R.S.C. 1985 c.B-4. He has extensive expertise in the use of s.437 (2) of the Bank Act, S.C. 1991, c.46, to freeze proceeds of fraud. 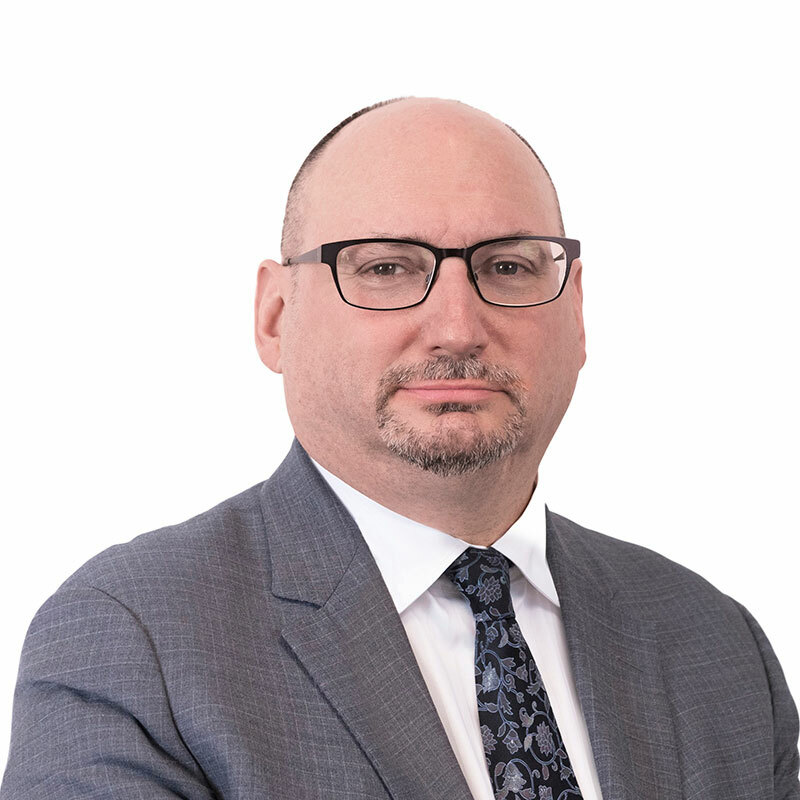 Chris has appeared before every level of court in Ontario and several administrative tribunals, and has successfully argued numerous appeals in the Ontario Superior Court of Justice and the Ontario Court of Appeal, both as an appellant and as a respondent. He has also successfully represented clients in arbitrations of varying complexity. Chris is a member of the executive of The Advocates' Society's Construction Practice Group. He is an instructor in civil trial advocacy in the Law Practice Program at Ryerson University, and has also lectured extensively on construction law, contracts and the Construction Lien Act, R.S.O. 1990, c. C.30, for many different organizations, including the Faculty of Law at the University of Windsor. Chris ranked in the top seven students each year throughout his law school career. Prior to joining Gowling WLG, he served as a clerk to the Supreme Court of the Northwest Territories. Before attending law school, Chris was a constituency assistant to a member of provincial parliament for several years. Chris is the instructor of the litigation section of the annual Gold Seal Construction Law Course sponsored by the Ontario Sewer and Watermain Association (OSWCA). Chris was a speaker at the Canadian Institute's Conference on Litigating and Resolving Construction Disputes, where he delivered the paper: "Construction Litigation Intelligence: Practical and Tactical Strategies in Dealing with Ontario Courts." A regular contributor to the Gowling WLG newsletter Fully Secured, Chris has published articles titled "Will the New Supreme Court of Canada Appointments Change Banking Law?" and "Posting Letters of Credit to Bond Off Construction Liens in Ontario." Chris is also the co-author of "Seven Deadly Sins (Adapted and Applied to Construction Insolvencies)" with Neil Abbott, and the author of "The Risks in Removing Construction Liens from Title to Land," which appeared in PULSE, a publication of the Ontario Risk and Insurance Management Society (ORIMS). Chris's article "Posting Letters of Credit to Bond Off Construction Liens: Time to Change an Irrelevant Practice?" was also published in the Canadian Bar Association's Construction and Infrastructure Law Sections newsletter. While attending law school, Chris was a research assistant on the book The Constitutional Protection of Freedom of Expression by Richard Moon (Toronto: University of Toronto Press, 2000). 27 July 2016 When is a bid non-compliant with the tender documents? John v. Millar, a shareholder's dispute in which Chris successfully defended a commercial landlord. Peoples Trust Co. v. Rose of Sharon (Ontario) Retirement Community, in which Chris represented a lender seeking priority over a construction lien. Sagebrush Building Ltd. v. Harris, in which Chris represented a victim of a fraud perpetrated by an employee. 601039 Ontario Ltd. v. FirstOntario Credit Union Ltd. in which Chris successfully defended a credit union from allegations that it was liable for its customer's fraud. Chan v. Ontario in which Chris successfully represented nine financial institutions in defending a claim found by the Court to be an abuse of process. Zwaig Associates Inc. v. Mok, in which Chris successfully argued to enforce a personal guarantee in favour of a trustee in bankruptcy before both the Superior Court and the Ontario Court of Appeal. Walters v. Clark, where Chris was successful in overturning the judgment of a Superior Court Judge on appeal to the Ontario Court of Appeal. Re Golden Mile Bowl Inc., an appeal in which Chris successfully represented a trustee in bankruptcy with respect to a challenge to the Registrar in Bankruptcy's approval of the trustee's fees and disbursements. Rakowski v. Malagerio, in which Chris successfully defended the right of the incorporated student government of a Community College to administer its own corporate bylaws. PSC Industrial Services Canada Inc. v. City of Thunder Bay where Chris successfully argued for the production of confidential city council documents concerning the demolition of a grain elevator on city-owned property. Microvoice Applications, Inc. v. ICE Consultants Inc. in which Chris successfully argued before both the Superior Court and the Ontario Court of Appeal that a U.S. corporation had the right to litigate in Ontario. Arcon Group Inc. v. 1371344 Ontario Inc., in which Chris successfully argued that the construction lien registered against his client's land violated the technical requirements of the Construction Lien Act and was discharged.